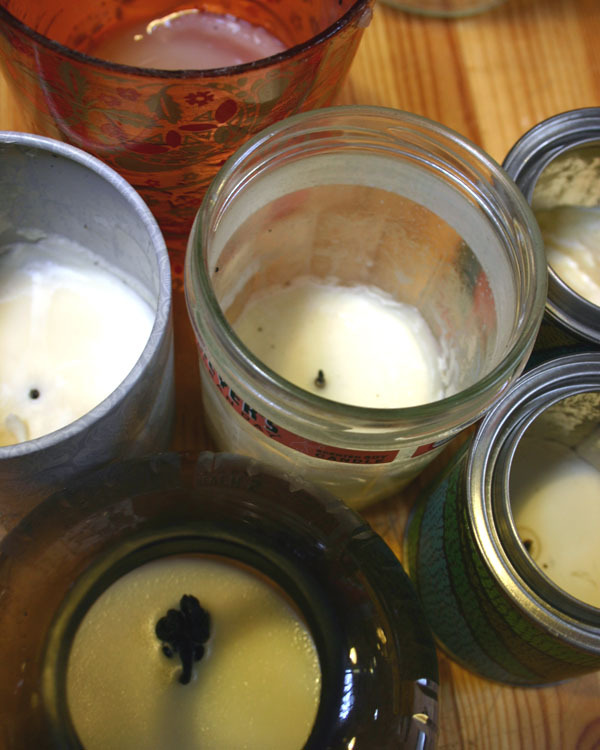 Collect your used scented candles when you spring clean and put the extra wax to good use! This is the perfect thing to do after you’ve spring cleaned and have a collection of used up candles and candle containers. Scented candles are being sold in more and more beautiful jars every year and I hate getting to bottom of those candles, realizing that there is perfumed wax left, but no wick! The Frankenstein candle recycles the pretty containers and the bottoms of all the scented candles into a brand new candle! 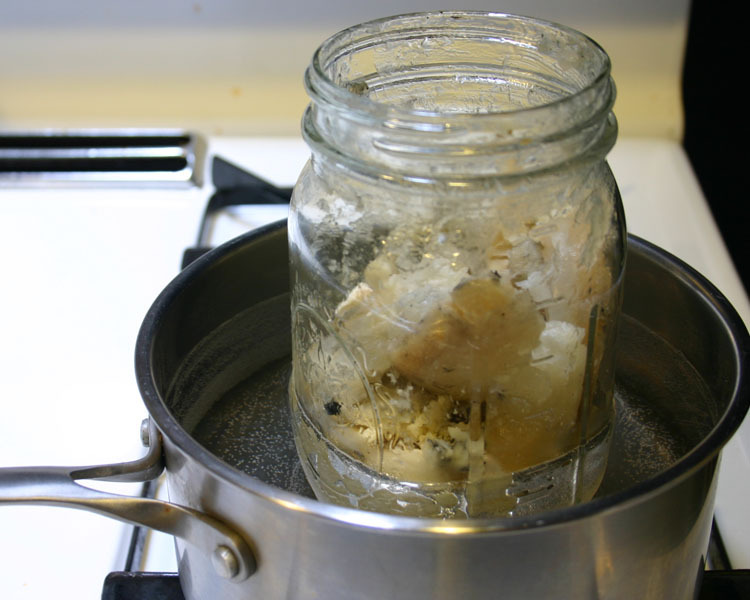 This project works best with heavily scented candle wax because it is usually quite soft and easy to harvest from the bottoms of all the jars. You can collect the scented wax throughout the year and store it in a mason jar until you have enough to melt down. Don’t sweat the burnt up bits you’ll probably get into the wax, this isn’t meant to be clean and perfect, just a way to save some money and pretty things! 2. 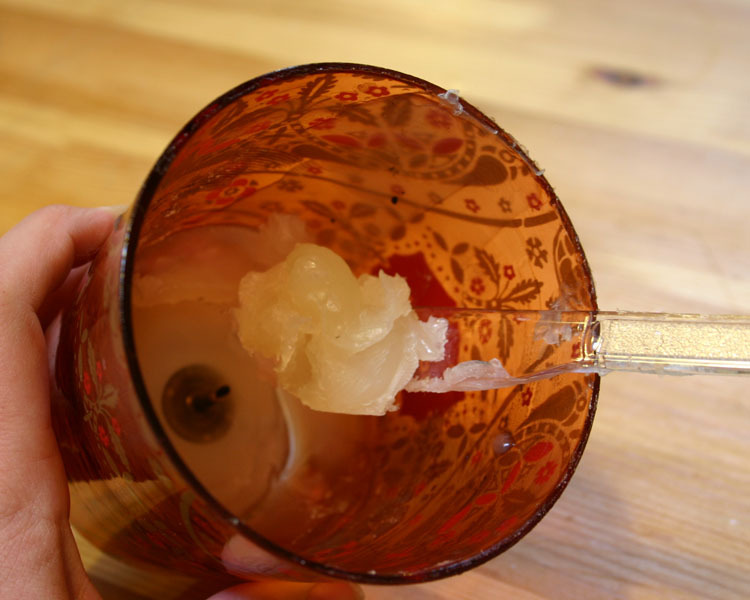 Use a plastic spoon or knife to scrape all the left over wax from the bottom of your scented candles and put it in the mason jar. 3. 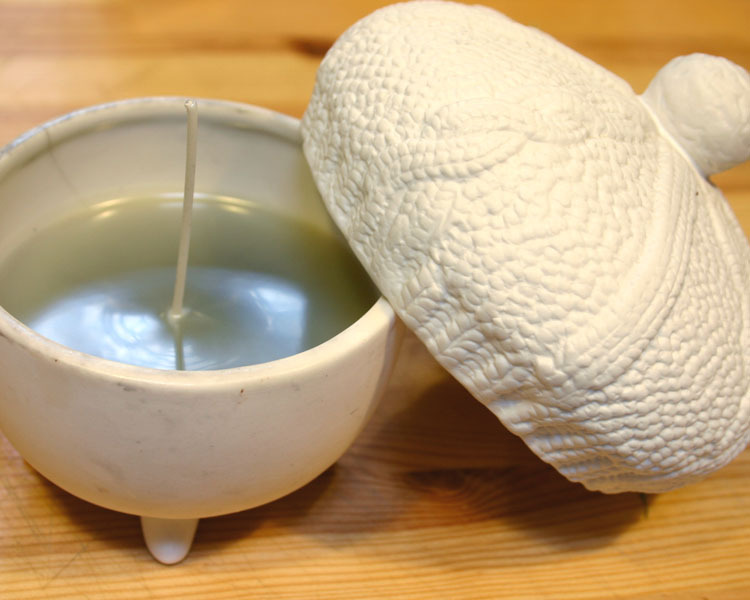 Spread some soft wax on the bottom of the wick base. 4. 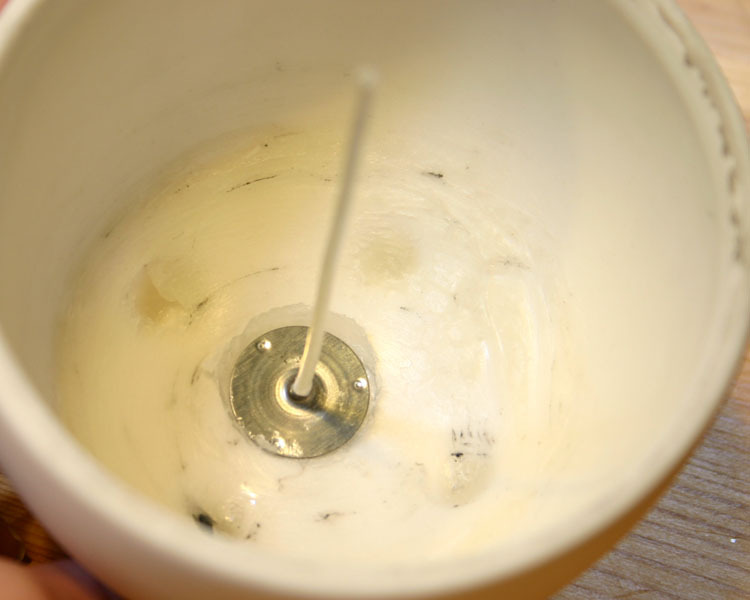 Stick the wick firmly in the middle of the bottom of the container you want to refill. 5. 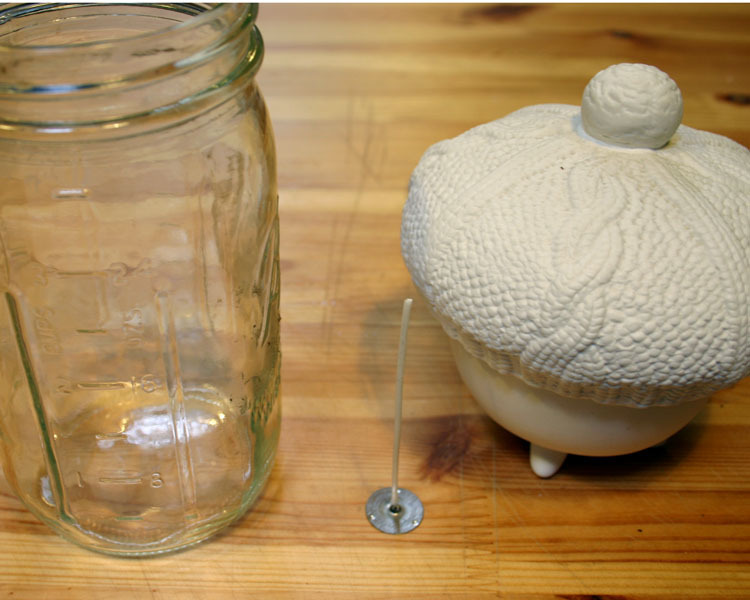 Place the mason jar into a pot of simmering water and let the wax melt completely. 6. 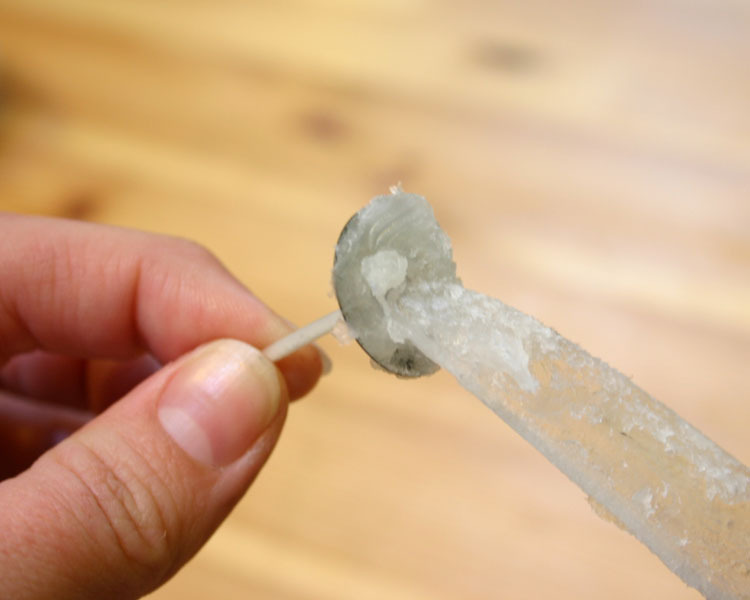 Pour the melted wax into your container(s). The color might be a little murky from the charred wax bits, but don't worry, it will still smell great! 7. 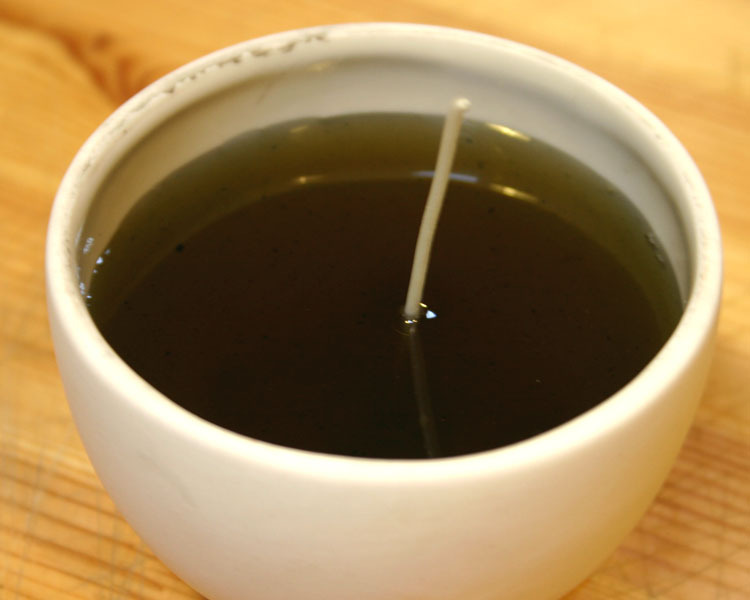 Let it set completely and trim the wick to 1/4" high before lighting. All done!